2. Open it in paint/photoshop/what have you. You can even print it. 4. Post it up for everyone to see! It doesn't matter if you're a fantastic artist. Make everything hilarious and bad in Paint, or wow us with your unbelieveable arting skillz. Just have fun! ._. There seems to be a problem in that the meme won't show up. This complicates things. 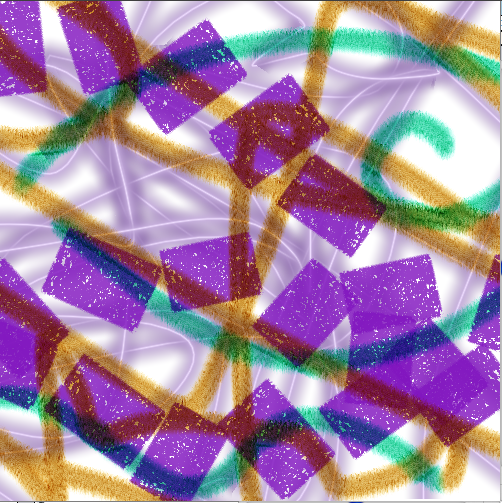 I fail at art too much to do this, but I *can* see it if I click on it to magnify it. It just doesn't fit in one window legibly. And failing at art makes it a special kind of awesome! XD You can still do it! It works and looks great!!! Horaaaatiooooo. Doooooo the meemeeeeeee. Dooooooo eeeeeeeet. as M. Bison would put it, YES. If you people are going to make me call out somebody specific to start this off, I'll do it. I swear. Some vulpine resemblance, I cant remember what it was called though. I have to pick a different art program... this one isn't working. Hey Horatio, is there an art program default on a Mac laptop? I wanna do the meme too. On my laptop I have Appleworks, but I do not believe it is a default program. Besides it does not want to upload art. To respond to your question, I will have an answer for you in a little bit. My plan is to call Apple and ask directly from the source. Now that you remind me, I also have Corel, which is an art program, but that is not a default. Wait... I was just thinking... do you have Comic Life on your computer? Go to the finder and search for Comic Life. This may show up only for things in your iPhoto, but I bet you could drag the image into iPhoto and then manipulate it. That's what I think I am going to do. I'll let you know if it works. I'm bad at computer art, but here ya go. A lot of Spongebob fans about, clearly. I actually just couldn't think of what any other cartoon characters looked like that I could even attempt to draw lol. I had to look up Pikachu to remember how to draw him. By the end of the meme my hand was really tired! D: I dont remember any of that. Surely you remember me telling you I had iTunes? I remember telling you that, too. you ever get that working again? I wasn't having any real problems with it, I was just mad that some songs weren't going to my iPod. I made the said songs into videos instead. I can sometimes simulate an opposable thumb by twiddling my wings a bit. Also, no apostrophe!!! You are so sneaky! You can't get away with it that easily., using your god powers and whatnot. Again, I can see right through you, you cheat. You will not get away with this. I think I asked you this before, but why don't they ust make you an admin? You're a blonde... what do you think? Seriously... they don't want to. Besides, I like just being a mod. They're highlights, ACTUALLY. How much modding do you actually do these days? You are so sneaky! LOL You can't get away with it that easily., using your god powers and whatnot. But to answer your question, not much modding at all. That's great! You got me laughing!!! I need to update my art program. Haha I like your drawing style. What do you think I had for dinner? Now now, that's clearly a bowl of spagetti and Tofu. Somehow I missed those on the menu. Exactly! I didn't think anyone would guess. Was it a kitsune or something?